Oppo R17, R17 Pro New Year Editions Launching on December 17 - Playfuldroid! 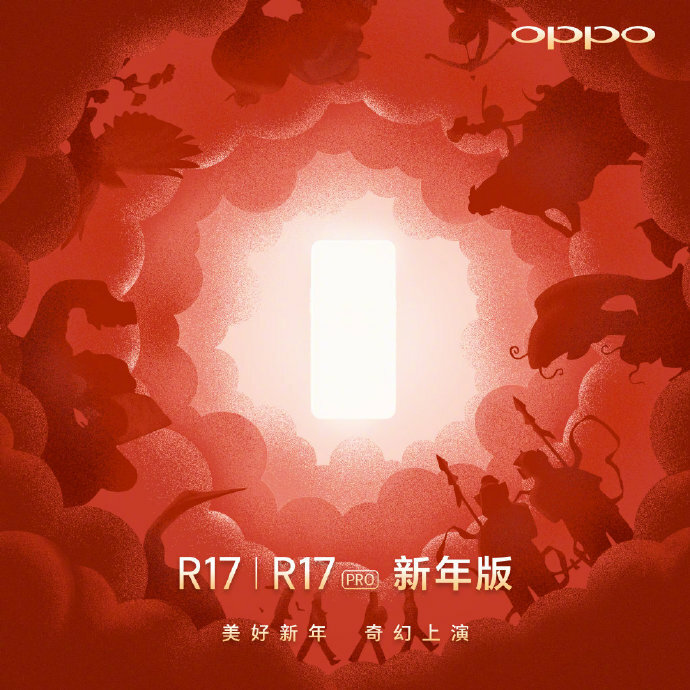 Oppo has confirmed that it will be holding a launch event on Dec. 17 to launch Oppo R17 and R17 Pro New Year editions. The Chinese manufacturer has started receiving registrations for the smartphone. However, it is yet to share information on the specs and pricing of the new year special versions of the R17 duo. Last year, Oppo had launched the R11s Star Screen New Year Edition. It carried the same specs as the R11s smartphone, but a featured an 18k gold-plated Lucky Dog zodiac symbol on the red-colored rear. It came with red hues on the icons and design elements of the ColorOS UI. The handset was sold in a special packed that included some accessories, some postcards and a shell. Hence, the Oppo R17 and R17 Pro New Year editions are expected to come with a custom UI, a special package and a gold-plated logo on the rear. Probably, it will be featuring a red-colored rear panel. Since only the highest configuration edition of the R11s was made available as Star Screen New Year Edition. It is likely that Oppo R17 and R17 Pro New Year editions will include their highest specs.